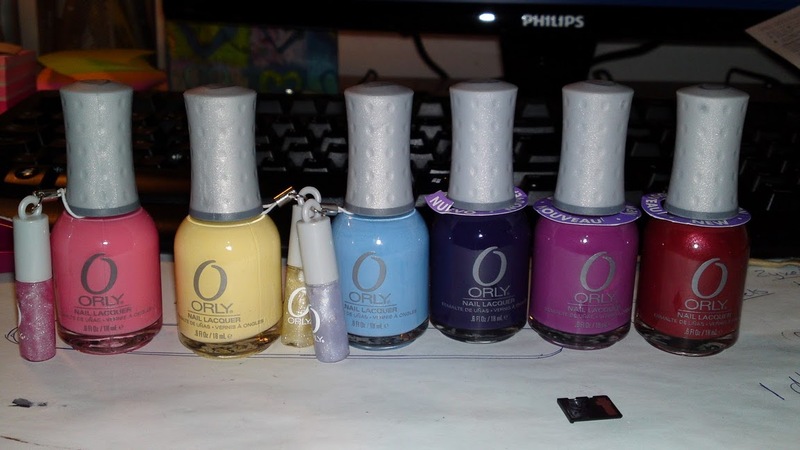 So when I got home not only did I have new phone waiting for me… but I also received a package with some new polishes in it from ORLY! And I of course tried my new phone’s camera for a quick picture of the polishes! .-= Evil Angel´s last blog ..What’s comming up next? =-. Snowcone, Wild Wisteria, Pure Petunia = Love! .-= nihrida´s last blog ..Hidden Blood Pump by Nihrida Frankly =-. .-= Echoes´s last blog ..Anmeldelsen: Ole Henriksen Fresh Lips =-. The picture is really good, nice lovely colors! Pingback: Orly – Wild Wisteria, Ginger Lily and Pure Petunia | Polishing the nails!